Road Transport | AURENT LOGISTICS: Freight Forwarding · Warehousing · Logistics – Yes, We can! 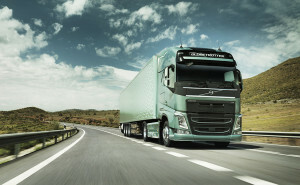 We are operating with own fleet of VOLVO FH12 (EURO 6) trucks with CAT2 and CAT3 VET licenses. Shipments of any kinds of cargoes (full truck and groupage) by all types of semi-trailers between Western, Central and South European countries, Scandinavian countries, CIS and Central Asian countries.